Kuper Sotheby’s International Realty joins the 2012 Parade of Homes with a selection of luxury homes built by Kyle Lindsey Custom Homes, Joubert Design Build and Elite Homes. These homes are being showcased at Aragon at The Dominion in San Antonio, Texas. 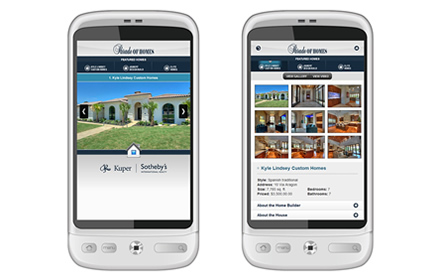 This mobile website focuses three beautiful custom homes by each builder. On each page, users can find information about each home, including number of bedrooms and bathrooms, size and location, through dropdown menus. 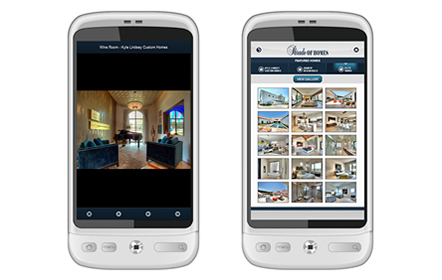 Galleries feature interior and exterior shots of every home. A YouTube video is also featured on Kyle Lindsey’s custom home that gives people a complete tour of the home.